Welcome to K&L Deliveries Ltd.
K&L Deliveries Ltd. deliver to all 32 counties of Ireland overnight. This is possible because our network of partner depots. Our coverage is the best in the market and our success rate for next day delivery remains unmatched. As a member of several pallet networks, K&L have a unique integrated link to The Pallet Network UK, offering a premium 48 hour export and import service to and from the UK. Click the icon for more details. We have established strategic alliances with European based freight forwarders offering premium services to and from mainland Europe. 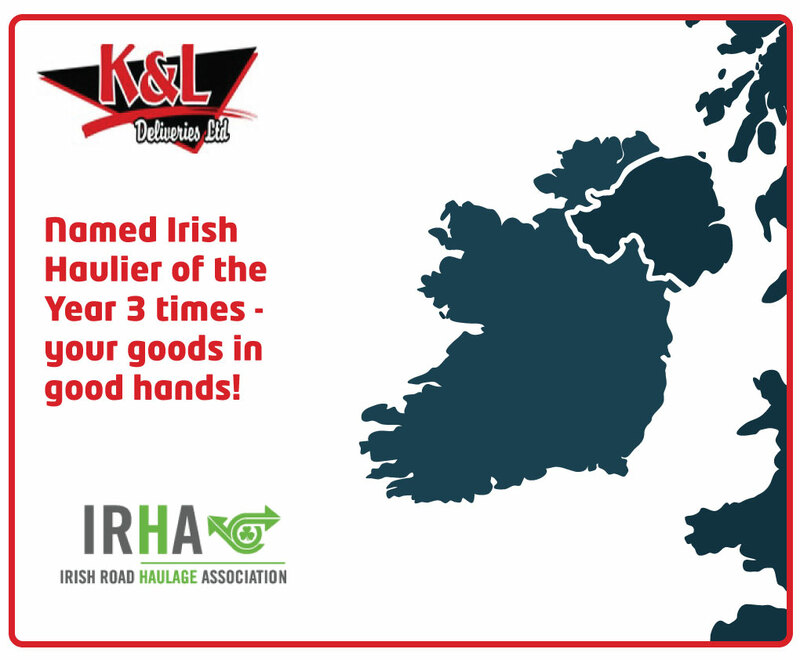 K & L Deliveries Ltd. provides nationwide delivery services in Ireland to many leading European Road transport companies and we have direct access to their services across all of Europe. K&L Deliveries Ltd. have a 60,000 sq. feet warehouse complex on an eight acre site, built to the highest standards, complete with four automatic dock levellers for loading and unloading of vehicles. Click the icon to learn more. Or email us for more information. Visit our contact page for more contact options. You can also download our application form here. K & L Deliveries Ltd., provides a courier, transportation, distribution and warehousing service for clients across Ireland, in particular Dublin City and County and throughout Munster. K & L Deliveries Ltd., commenced trading in January of 1986 and has since then grown and been awarded a long string of national awards and accreditations. The company is solely owned by Gordon O’Keeffe and, his wife Breeda. 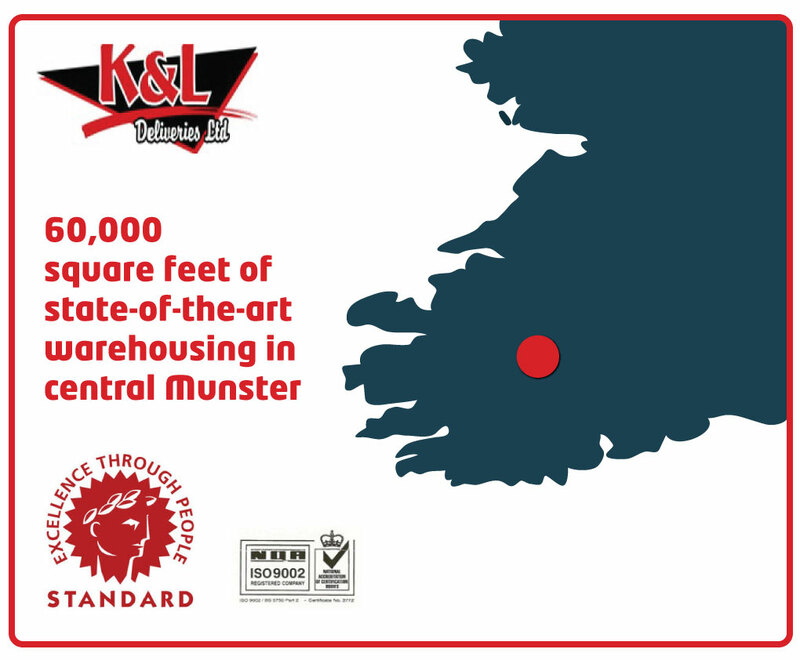 K & L Deliveries Ltd., have a live customer base of over 1,500 customers in the Cork, Kerry, Limerick, Clare, and Dublin regions and throughout Ireland. These customers use our services on a weekly basis. We have an additional customer base of three hundred customers who use our services on an irregular basis. If you would like to open an account with us, just fill out the Account Application Form and fax it to us at 029-70451. K & L DELIVERIES LTD.